480-456-8888 | When Was The Last Time You Dethatched Your Lawn & Turf? Lawn Thatch Is Known As The Layer Of Dead Turfgrass Tissue That Has Built Up And Not Broken Down Between The Soil Surface And The Green Lawn Vegetation That Must Be Removed, Or Dethatched, For Optimal Lawn Health. Turf Dethatching (Also Known As Power Raking) Of A Lawn Is The Process Of Removing The Excess Thatch From A Turf. This Process Of Lawn Dethatching Consists Of The Removal Of Stems, Leaves, Roots, Stolons, And Rhizomes That Build Up On The Lawn And Is Performed With The Use Of A Mechanical Lawn Dethatcher, Also Known As A Vertical Mower. Although The Control Of Thatch Is Considered One Of The Most Overlooked Aspects Of Lawn Care, The Experts At CAM Solutions Do Not Take Turf Dethatching Of Your Property Lightly. It Is A Common Industry Practice To Perform Lawn Dethatching After Thatch Is Built Up, And Our Professionals Can Perform A Close Visual Inspection Of Your Commercial Property To Assess Whether Your Property Needs A Deep Thatch Or A Lighter Scratching Of The Lawn Surface For Your Property. CAM Solutions Is An Industry Expert On Turf Dethatching And Recommends Lawn Dethatching To Prepare For Weather Changes. When Lawns Are Dethatched, There Is A Much Greater Risk Of Damaging The New Grass Crowns. If A Severe Thatch Problem Is Discovered, You Are Faced With Deciding If More Damage Will Be Done By Lawn Dethatching Or By Leaving The Thatch On Your Lawn For Another Season. Turf Dethatching Can Be Hard On Turf, So The Most Ideal Time To Perform This Process Is Before The Grass Enters Its Period Of Strongest Growth. As Dethatching Times Can Vary, Let Our Professionals Determine The Type Of Turf On Your Property And The Best Time To Dethatch. 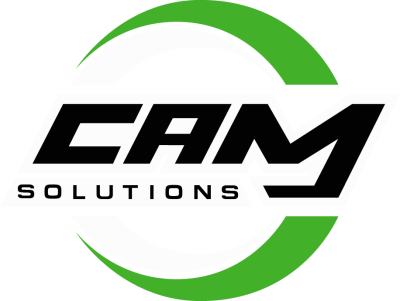 CAM Solutions Will Make You Aware Of The Different Lawn Dethatching Techniques For All Types Of Grasses To Help You Maintain A Healthy Lawn With The Expert Assistance Of Our Professionals. Our Professionals Know The Best And Most Effective Times To Dethatch For Future Survival Of Your Lawn — During The Cooler Weather When The Soil Is Moist, Avoiding Times Of Drought. We Will Provide You With Step-By-Step Information During Our Dethatching Process Of Your Property. Over Time, Thatch Will Start To Create A Moisture Barrier Depriving Your Lawn Of Nutrients And Air Circulation And Eventually Suffocating The Grass Roots. Once The Thatch Is Pulled Up To The Surface, We Recommend It Be Raked Up And Either Composted Or Disposed Of. Turf Dethatching Helps Promote A Healthy Turf By Removing This Thatch Allowing For Proper Water Consumption And Airflow And Nutrient Uptake Encouraging New Growth. As The Thatch Of A Lawn Thickens, It Forms A Thick Mat Which Can Provide An Environment For Pests, Fungal Growth, And Disease. In Some Areas, Turf Can Be Predominant. Turf That Rapidly Builds Thick Thatch Layers Which Will Be Watched And Assessed During Your Routine Lawn Maintenance By Our Service Professionals. It Should Also Be Noted Here That A Little Bit Of Thatch Can Be Beneficial And Is Natural And Good For A Lawn. Thatch In A Lawn Contributes To Its Health By Mulching Soil And Slowing Water Loss, Cushioning The Soil And Decreasing Compaction, Insulating The Turf From Weather Changes, And Improving Turf Tolerance To All Types Of Traffic, I.E, Foot And Mower Traffic, Another Reason To Let The Professionals Determine The Right Depth And Time For Dethatching Of Your Commercial Lawn.